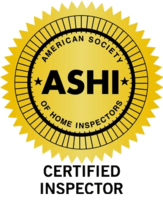 AZ Property Inspections’ President Tim O’Neall is a Certified Instructor with the AZ Department of Real Estate. Tim teaches informative and FUN Continuing Education classes for Real Estate Agents. Check out the schedule below to see where he will be teaching next and to reserve your seat. Call 480-283-5642 or email inspections@cox.net to RSVP for any class. Class: What’s Wrong With This Listing? Description: This CE Class is a “House101” that will teach you everything you need to know about homes and what makes them tick! Description: Class on Disclosure, with some agency issue overlap (dual agency, fiduciary duties, and staying within scope of knowledge). The course utilizes a “mock” trial based upon a real trial that actually occurred. The mock trial reveals that seemingly “trivial” issues can lead to lawsuits. Instruction on the elements of various “misrepresentation” based claims and tips to avoid lawsuits will follow the mock trial. Disclosure requirements, including disclosing material information to the consideration to be paid for a property in writing. Dual agency issues, including when to disclose, what disclose and how to disclose information relating to a property in a dual agency. Working within areas of expertise and knowledge. Here, the agent held himself out as a business realtor, when, in fact, his skill in that area was limited. Description: Class on disclosure obligations of sellers and agents, including avoiding claims for fraud and misrepresentations in listing and selling properties and other legal issues. Discussion of types of disclosure issues typically seen by real estate agents and brokerages; poor advertising; the importance of an accurate SPDS; the risks associated with poor disclosure; E&O issues; legal claims by those affected by poor disclosures. Tips to Avoid Disclosure/Misrepresentation Issues. And…See Some Crazy Home Repairs Inspectors See Daily! Accounting Practices – the process of properly accounting for receipt and disbursement of monies. Trust Accounts – how to properly handle trust accounts, including oversight, administration and money receipt and distribution. Cancellations – how to address cancellations of property management agreements, including addressing money distributions and wrap-up. Maintenance and Insurance – the proper means of offering maintenance service, tying in with insurance issues relating to the property (ie: what insurance will be on the property, who will have the policy, importance of proper insurance. Contracting Issues – the proper contract writing for Property Management Agreements and do’s and don’ts of agreements in general. Also address Lease Purchase Agreements and areas of concerns for these documents.